Holy Terror was a special band. Though only active for a few short years, they released two of the best thrash albums of the 80s, mixing speed and real heaviness with both progressive and rock influences to create something truly unique. Those albums are among my most beloved and they never, ever sound stale. 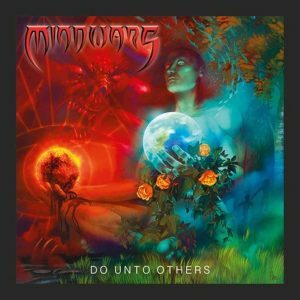 When I saw a band in the promo sump bearing the name of Mindwars (Holy Terror‘s brilliant second album), with an album titled Do Unto Others (a song on that brilliant album), my curiosity was certainly piqued. It turns out former Holy Terror guitarist Mike Alvord founded this band some years back, and Do Unto Others is their third album. Naturally, I prayed this would be some sort of second coming for my cherished band, but it isn’t. Instead it’s old school thrash bearing influences from nearly every major player from the 80s. It’s not without some surprises of its own though, incorporating proggy elements along with a slight blackened edge. Is that enough to afford Mindwars a piece of your mindshare in this age of rethrash? 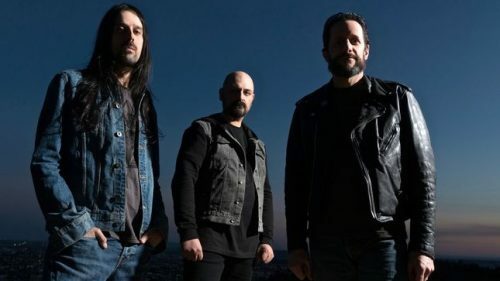 The black metal influences pour forth on the darkly menacing crawl of “In God’s Name.” It’s an interesting change of pace, though it converts to full speed thrash frenetics by the half-way point. It’s a fun tune, and when things cut loose Alvord goes completely off the reservation with some wild soloing you really need to hear to believe. Another wild trip is “Wall of Fire” which makes good use of some obvious Voivod fanboyism in the riffs and lead patterns. Over the 11 tracks there isn’t any filler and all feature fun, thrashy energy and exceptionally tight playing. My biggest complaint involves how close the band gets to their influences at times. Take “Kill or Be Killed” for example. It’s an enjoyable tune by any standard, and the obvious Slayer-isms are fine and predictable, until things starts to sound too much like “Seasons in the Abyss” for comfort, which they eventually do. At 48 minutes, the albums also feels a bit too long, and by the final 2 tracks I’m suffering early stage thrash fatigue despite the consistently high quality of the material. Mindwars is an amazingly tight sounding trio. Alvord is a tremendous guitar player and the rhythm section of Danny Pizzi on bass and Roby Vitari on drums is a formidable one indeed. While Alvord isn’t going to set records for most talented vocalist, his gravelly rasp and bark is quite effective and when it isn’t reminding me of Chuck Billy, it brings to mind Coroner‘s Ron Royce and Kurt Grayson of the long forgotten Wrath1. Of course, the biggest reason Do Unto Others works so well is the jaw-dropping shredding Mike Alvord brings to the party. The man can wail a noodling and wail-noodle he does, as there’s no one to tell him when enough is enough. His hyper-kinetic playing definitely ups the fun factor on every song and will have you air guitaring along in shabby approximation every time. I had no idea this band existed, and now I must atone and immerse myself in their back catalog. If you have a hankering for 80s nostalgia thrash done well and with a touch of modern heaviness, you should check this out post-haste. And if you have yet to hear Holy Terror, you need to remedy that immediately. They’re one of the great unsung bands of thrash and you will be impressed. Thank that veteran of psychic wars, Mr. Alvord for that. And thank him for this too.